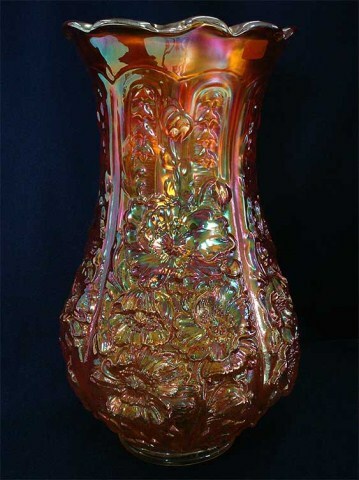 Not the same pattern as Northwood's bowls and plates, but nonetheless collectors call this pattern Poppy Show. 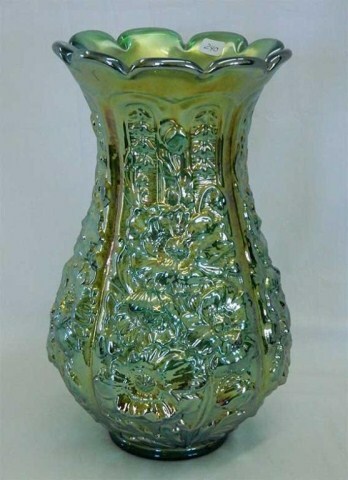 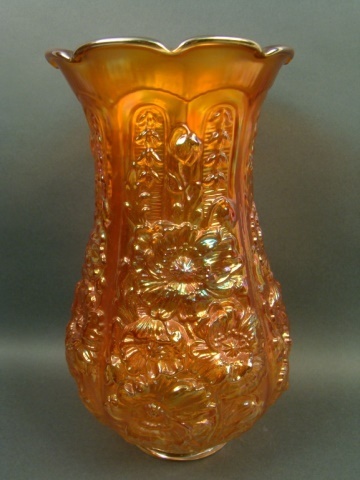 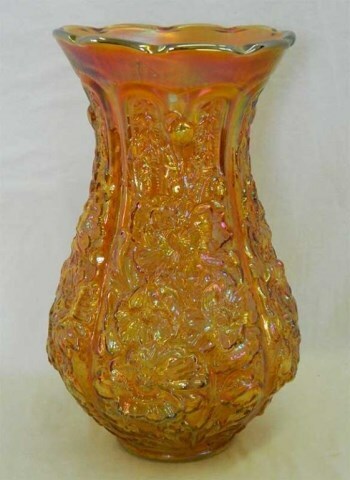 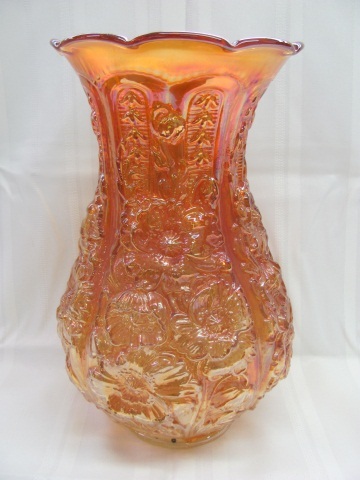 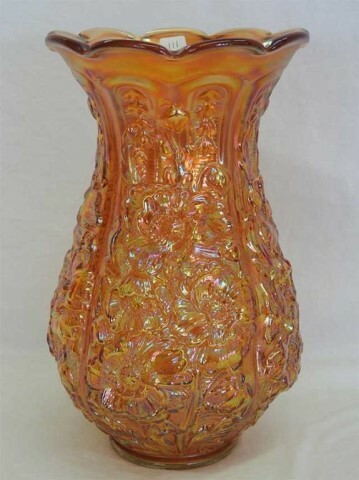 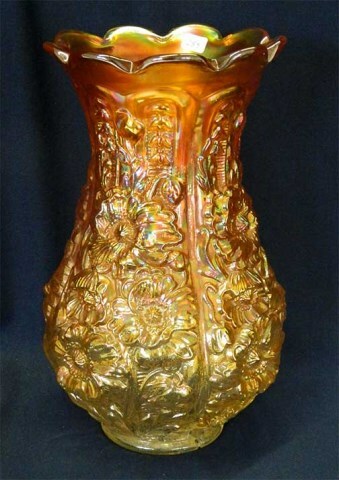 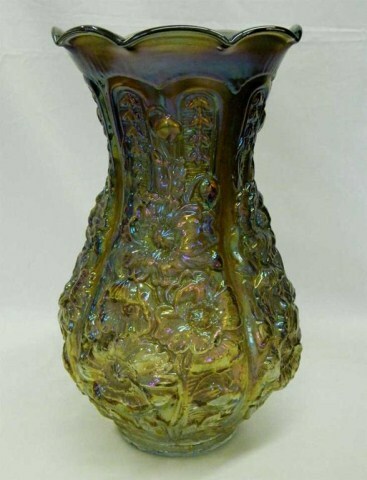 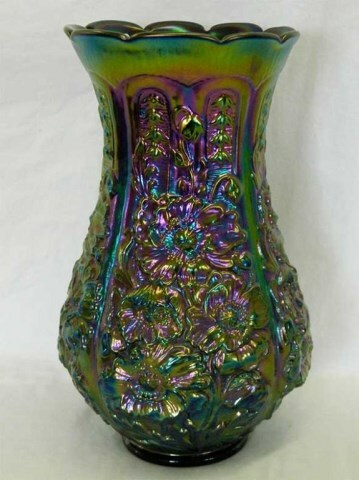 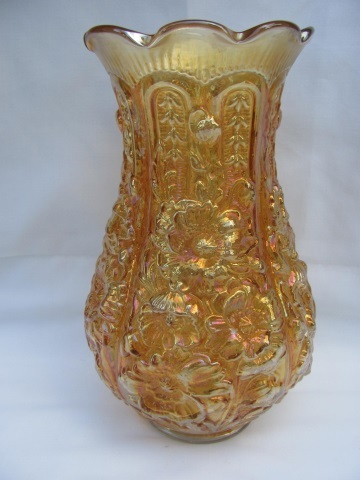 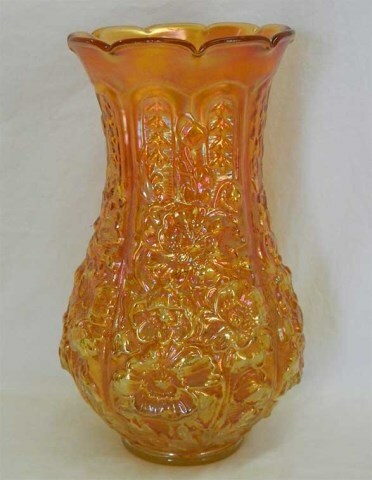 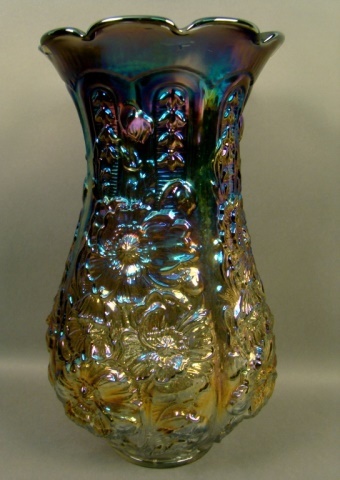 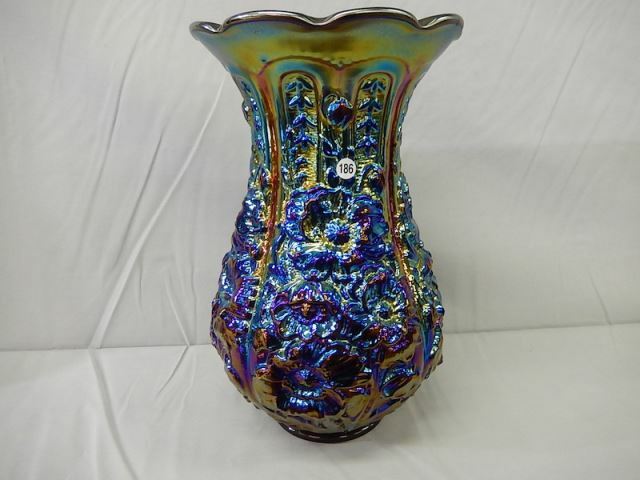 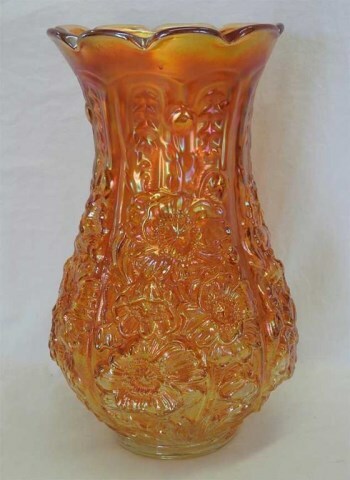 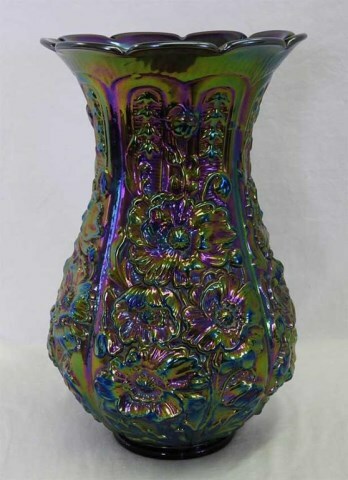 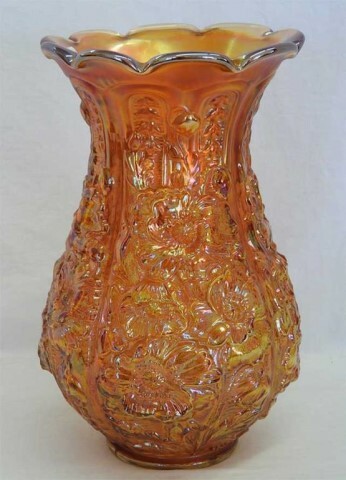 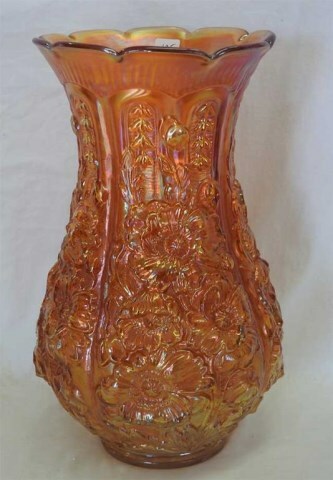 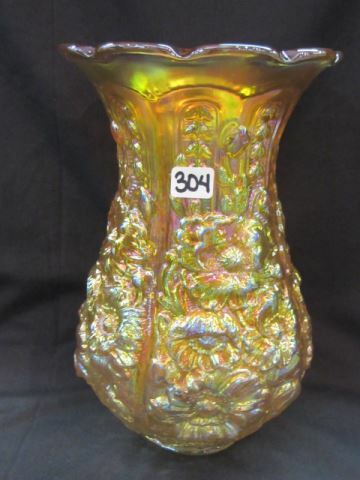 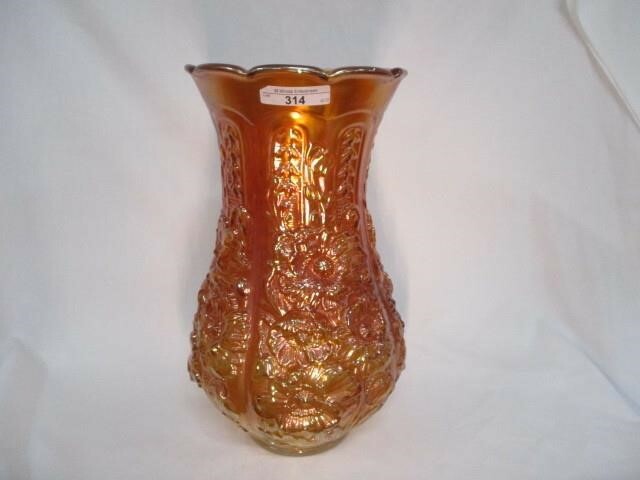 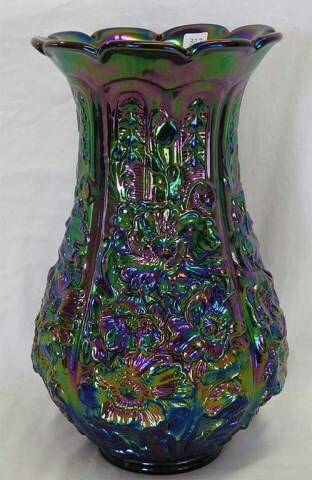 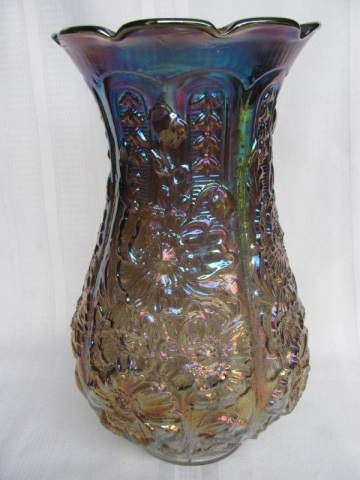 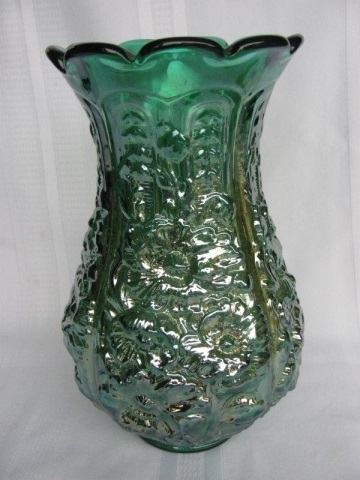 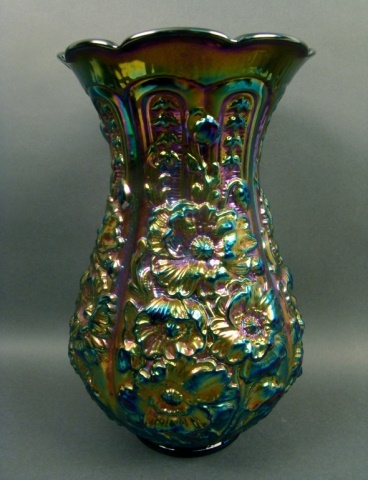 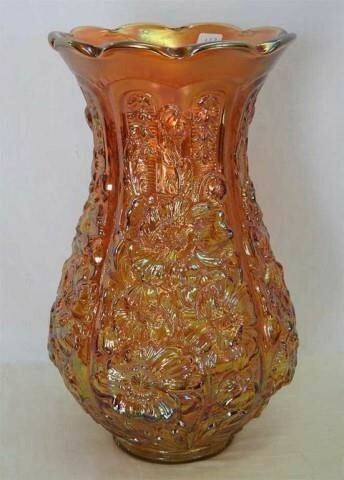 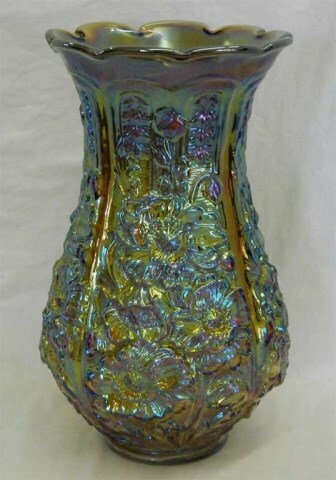 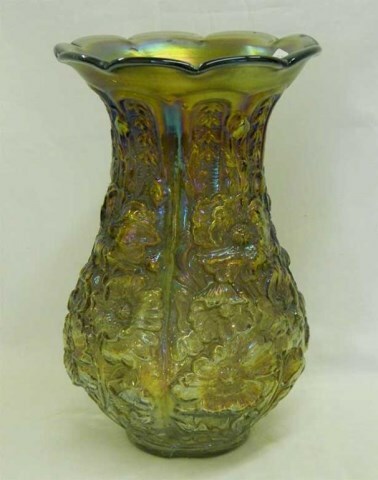 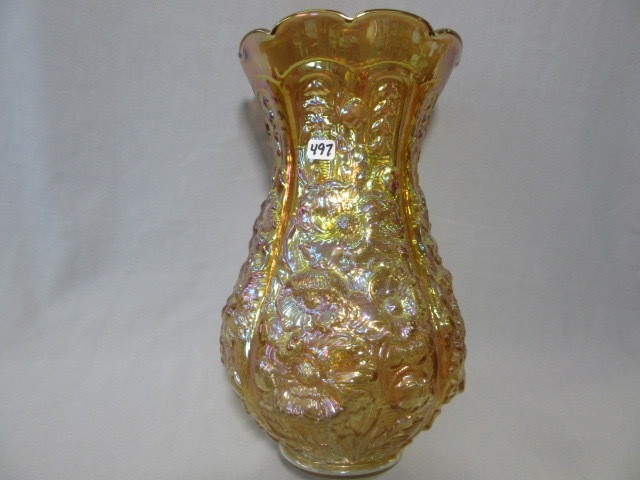 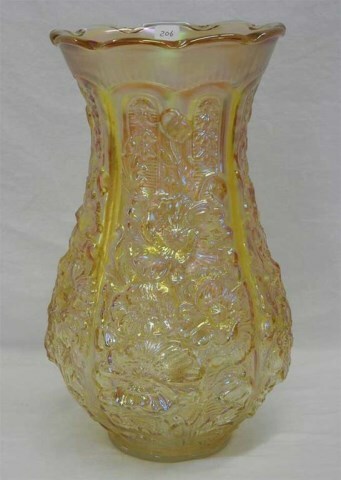 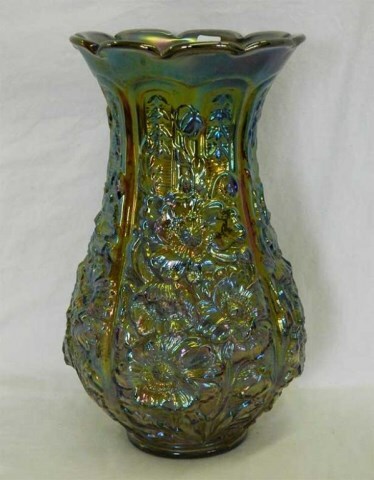 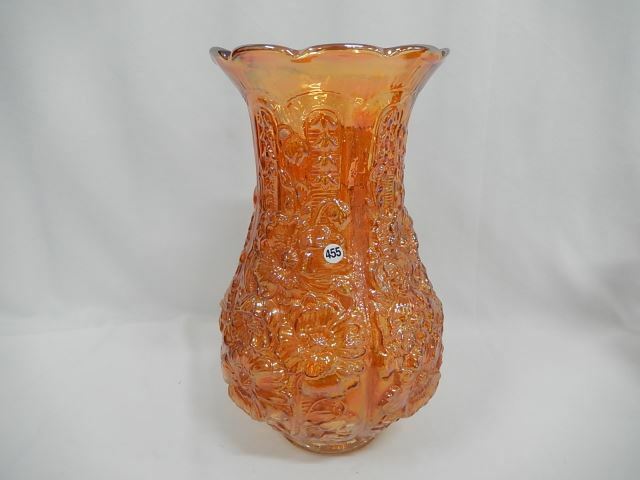 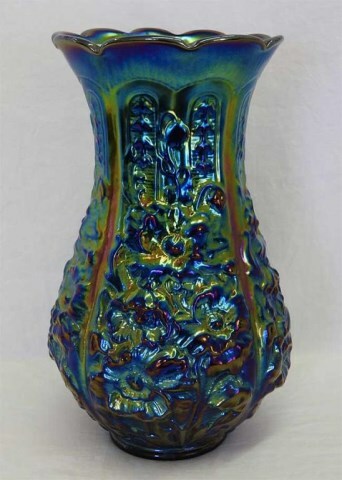 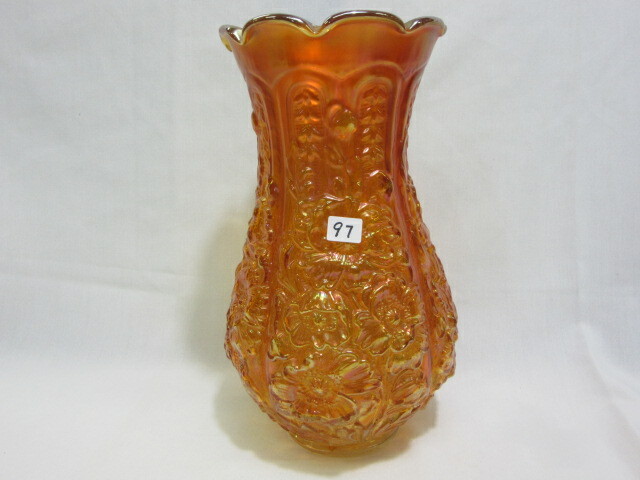 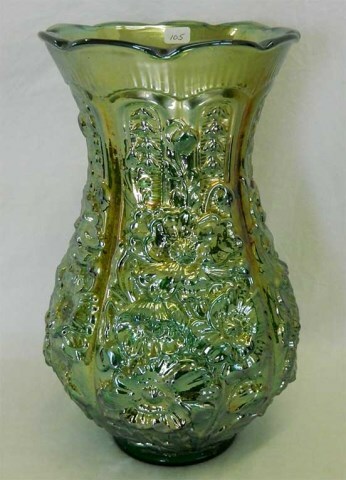 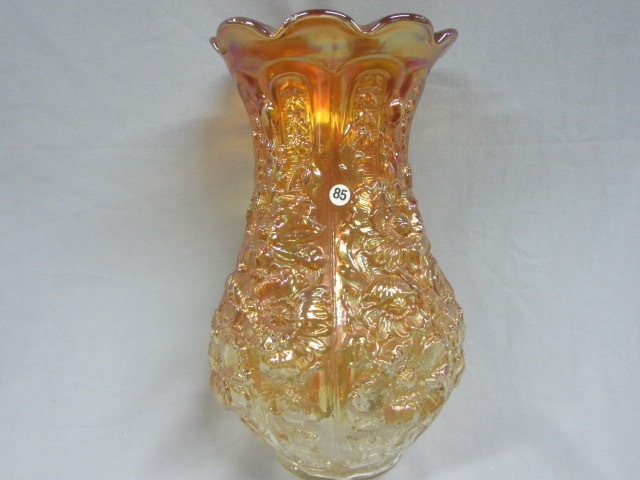 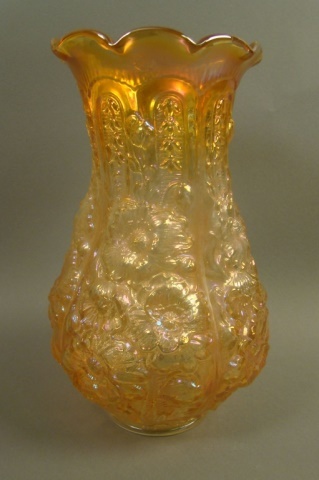 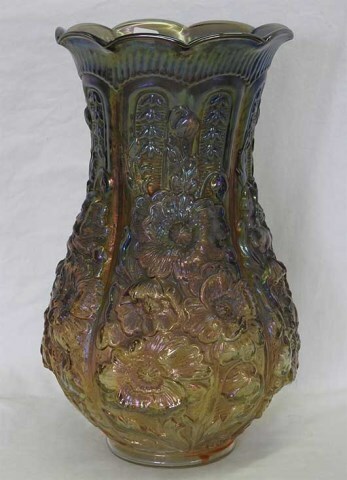 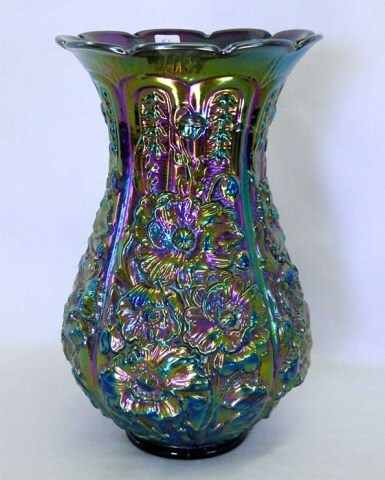 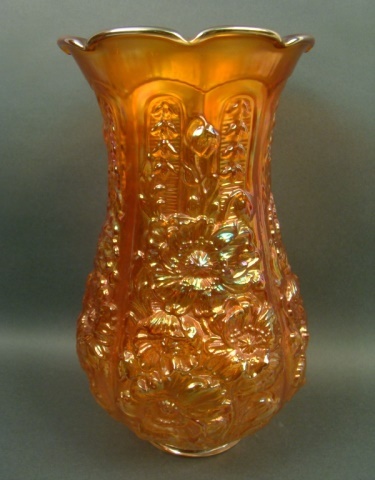 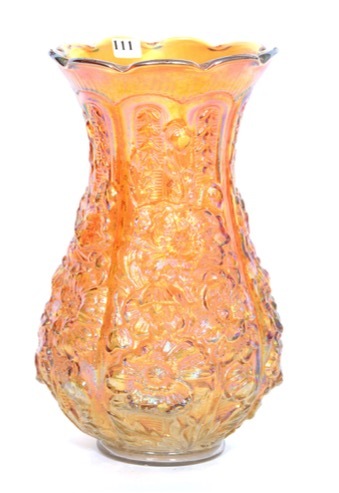 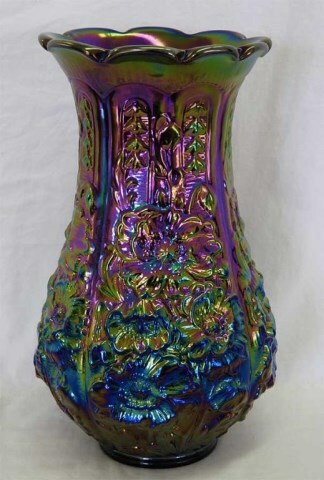 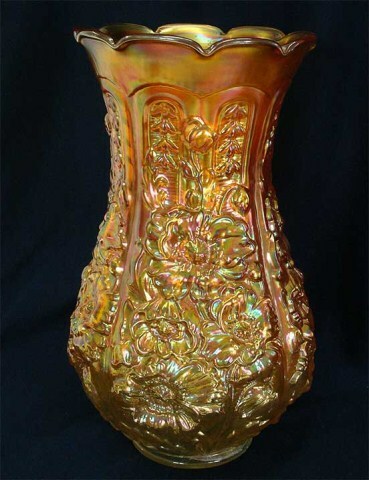 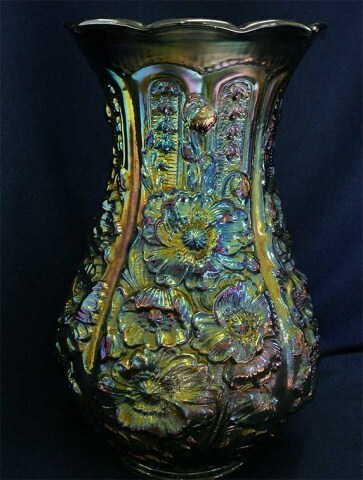 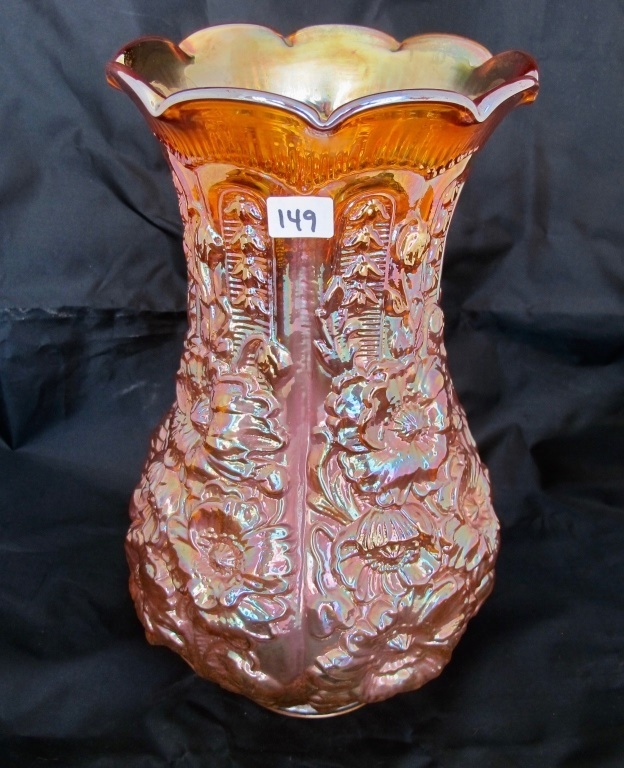 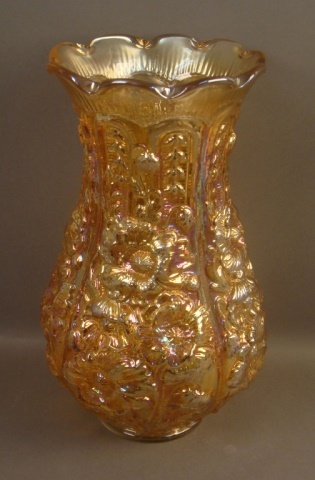 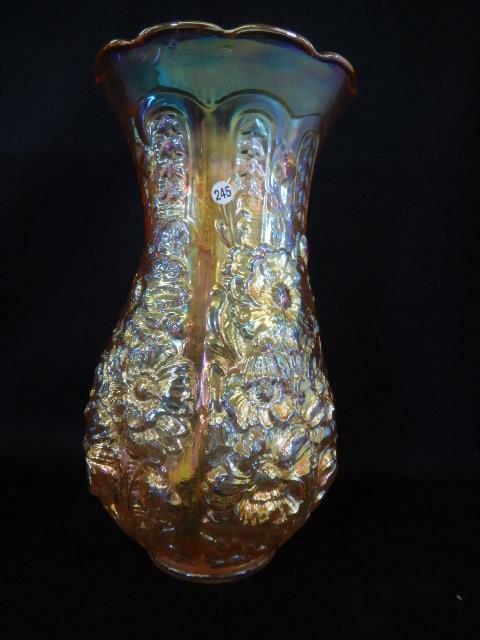 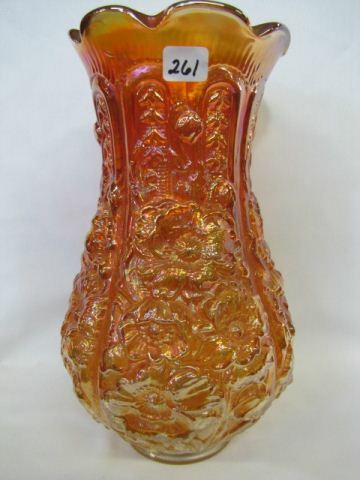 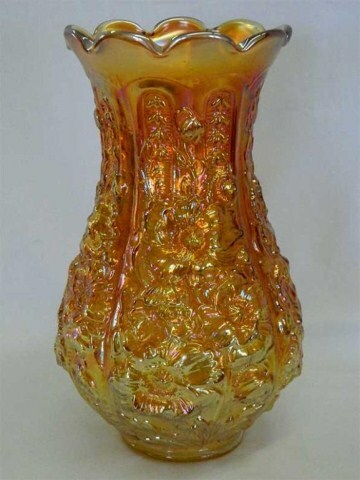 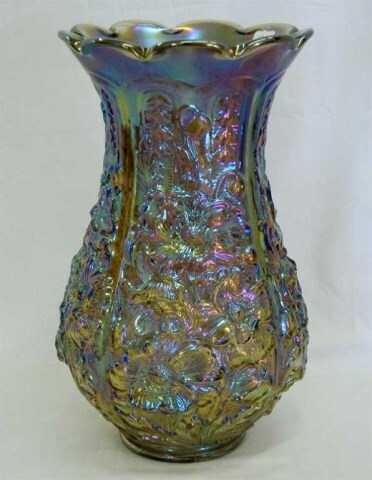 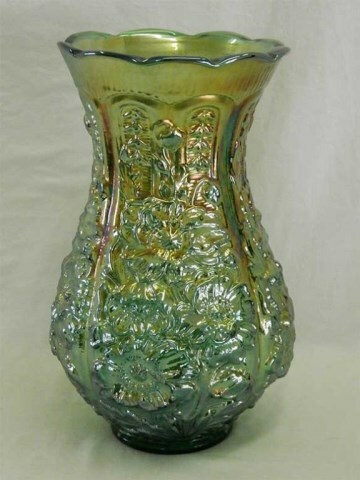 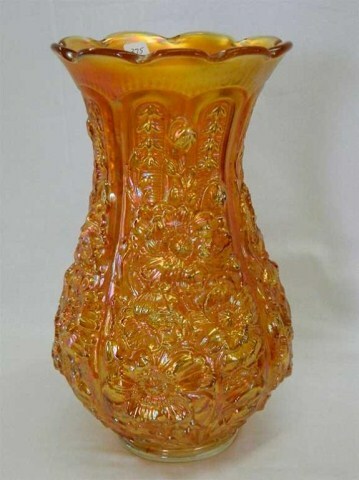 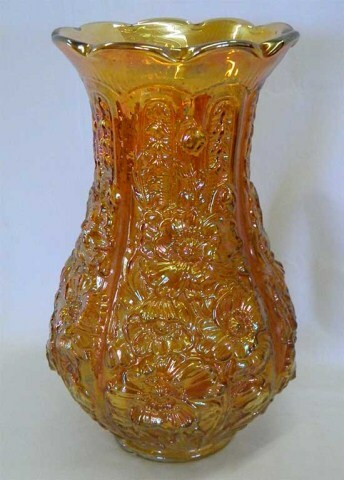 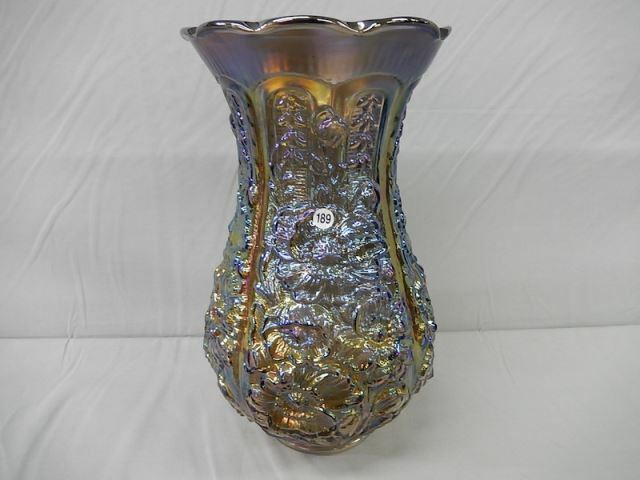 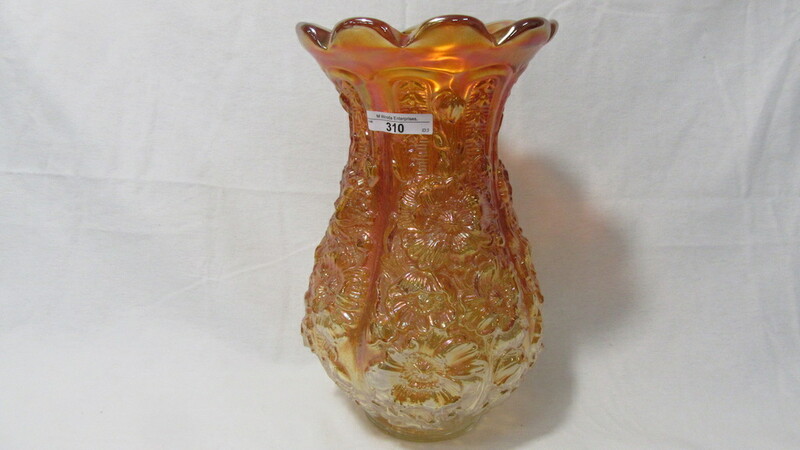 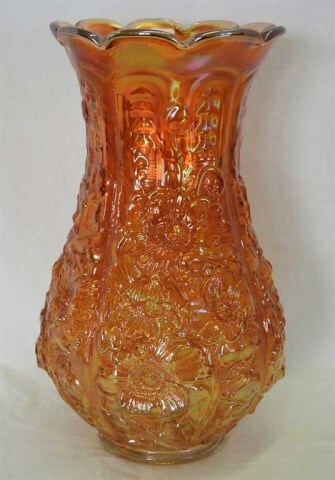 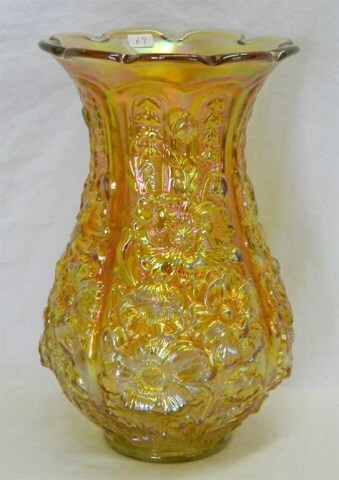 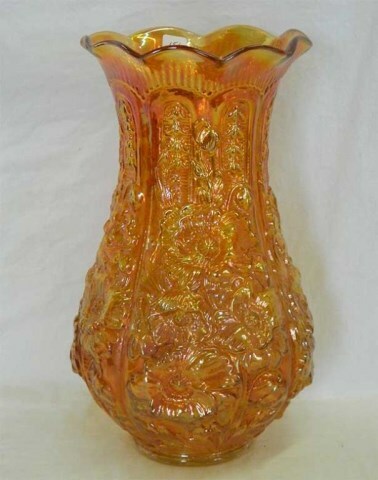 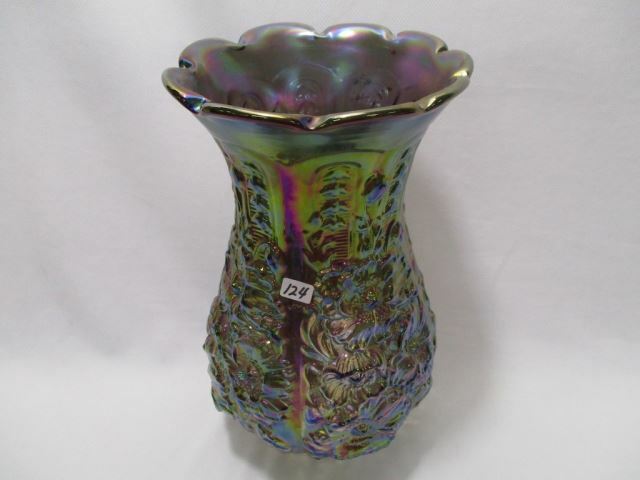 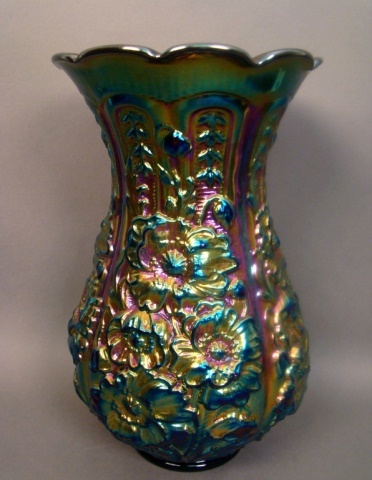 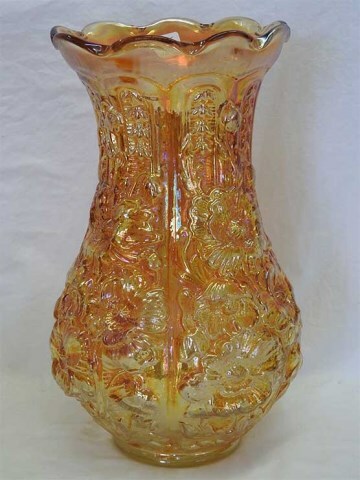 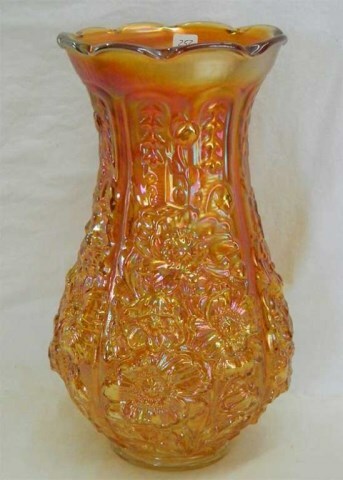 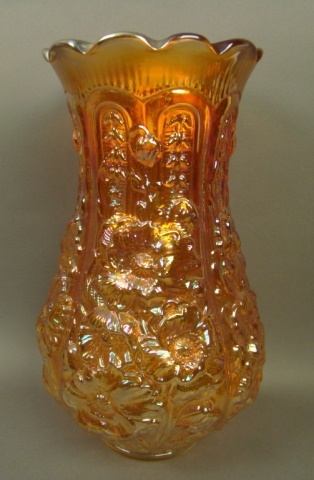 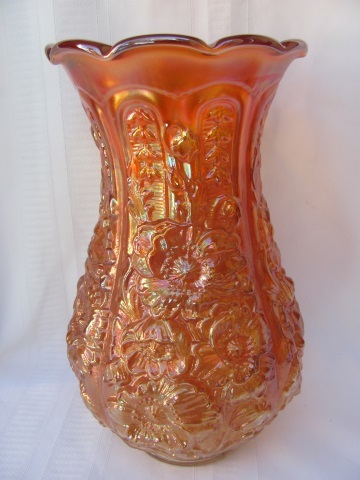 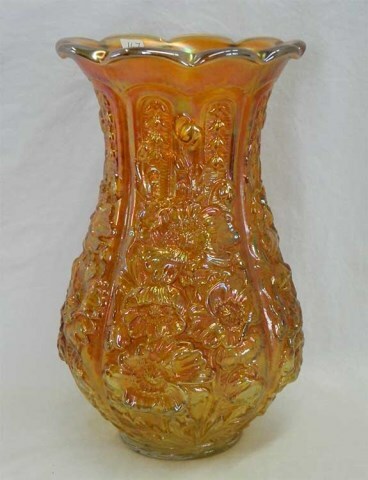 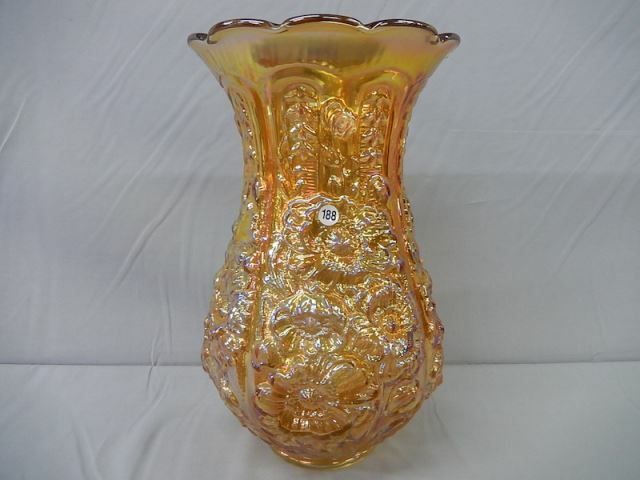 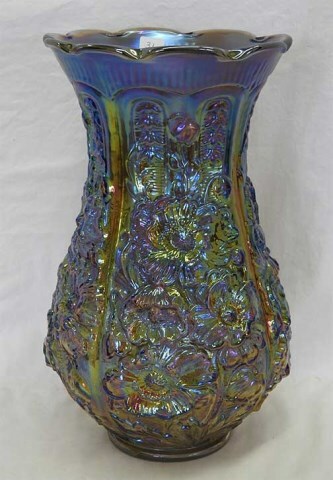 Quite a large vase, measuring about 12 inches tall and with heavily sculpted flowers. 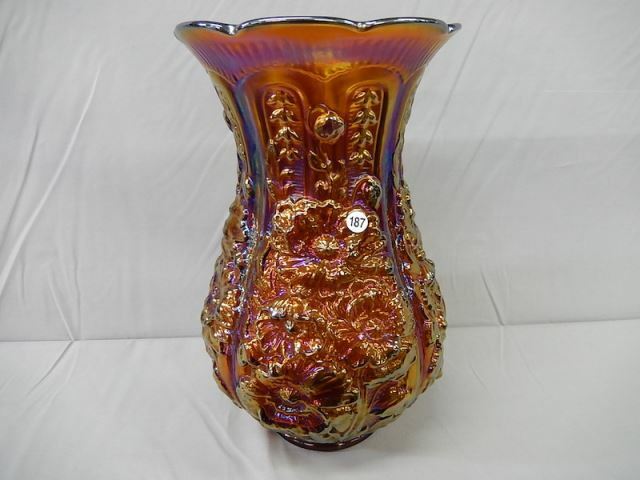 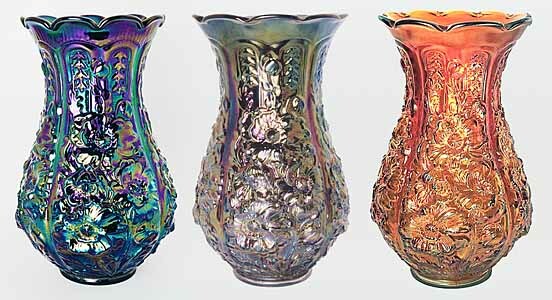 Shown are purple, smoke, and marigold examples. 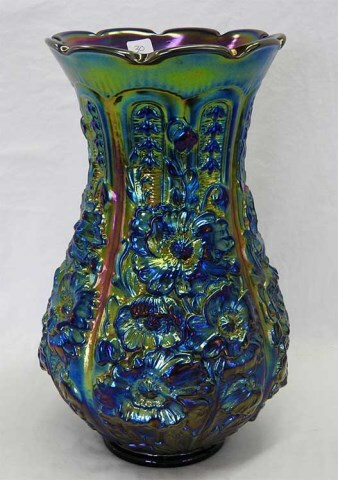 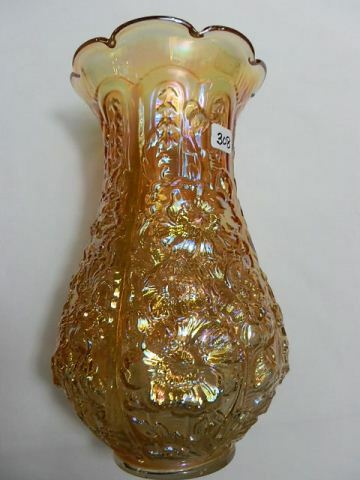 This pattern was reproduced by Imperial, with their IG mark, and by Fenton for Singleton Bailey.